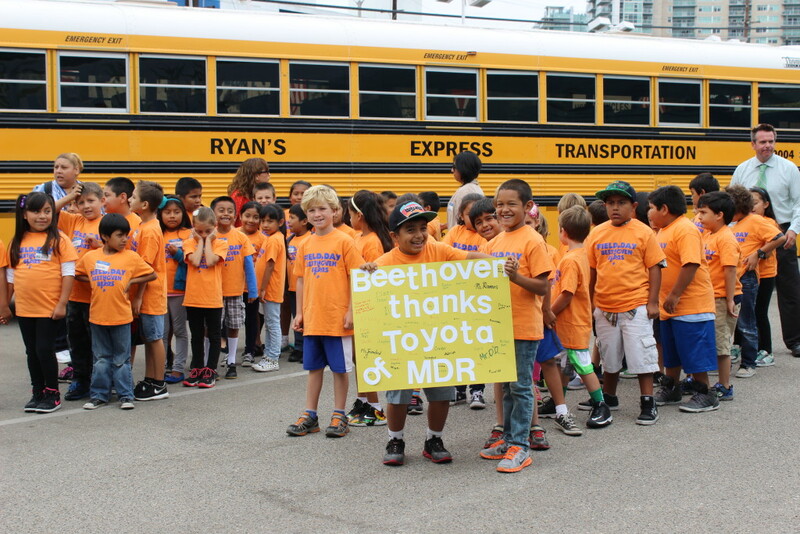 On September 4th, anyone driving by the Marina del Rey Toyota dealership parking lot would have noticed two vehicles that were definitely not business as usual: a school bus and a fire truck. 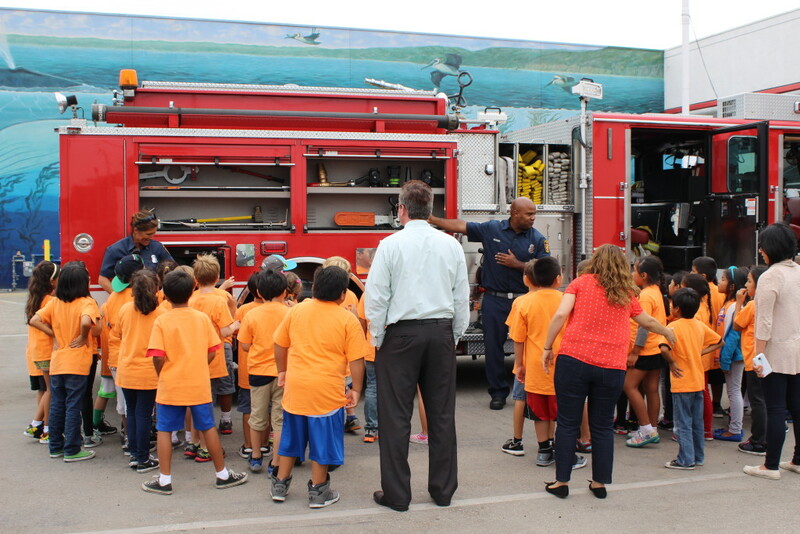 Fire Station 63 sent Captain Reid Lotero and three assistant fire fighters to the dealership to give a safety talk to fifty 2nd grade students from Beethoven Street Elementary. Why? 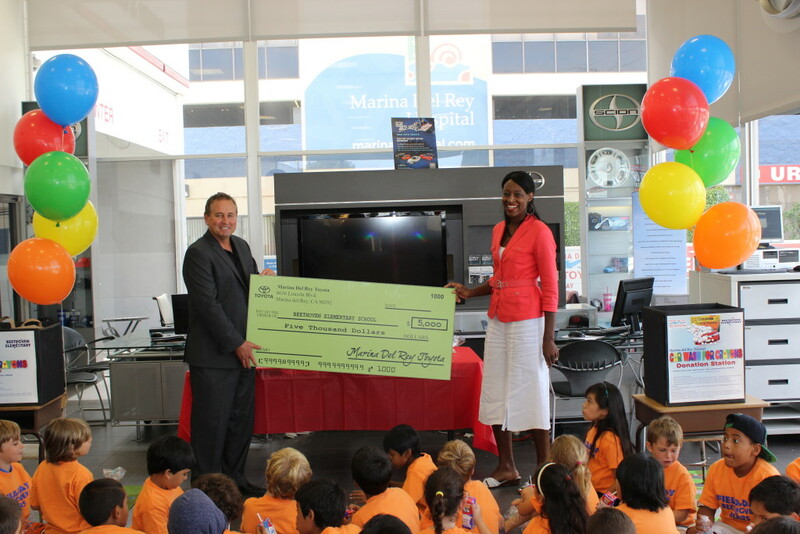 The field trip concluded with milk and cookies, while Kevin Ray presented Beethoven Elementary Principal, Dr. Althea Ford, with a check for $5000 from Marina del Rey Toyota. For all other photos from this event, click HERE!